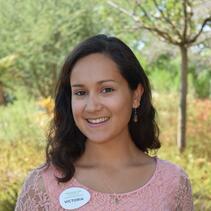 Victoria Dunch serves San Diego Zoo Global as a Senior Research Associate in Community Engagement. In this role, she helps teach conservation science to the middle and high school students who come through our Conservation Education Lab in the fall and spring. During the summer, she helps run our Teacher Workshops in Conservation Science, engaging science teachers from across the country and now the world. Victoria helps to keep the Conservation Education Lab up and running, and also works on revising our conservation education modules in order to keep them as current as possible. 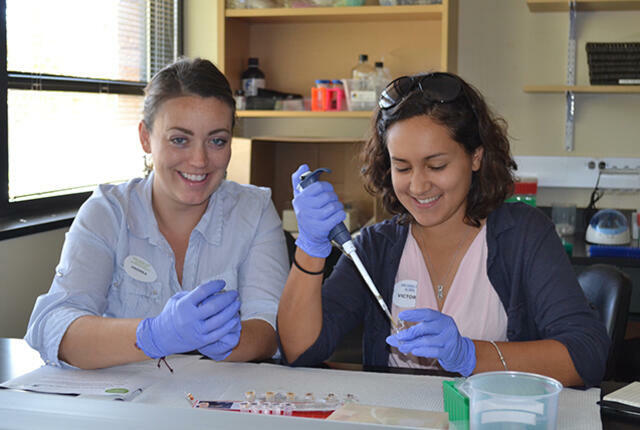 Victoria regularly interacts with scientists in other labs so that she can interpret their work to our student and teacher program participants, and provide informational tours of the Beckman Center to visitors. She also manages our conservation education kits that travel to Teacher Workshop Alums around the country. Before coming to the Institute, Victoria worked as a fundraiser for the San Diego Zoo Global Wildlife Conservancy. Victoria earned her bachelor’s degree in Environmental Science and Policy from Smith College, with a minor in Marine Science. She has interned with two NOAA facilities in South Carolina and Mississippi, and spent a summer teaching a marine science camp in San Pedro, Belize. She has also interned at the Birch Aquarium at Scripps through their summer camp programs, and worked as a volunteer on whale watches. 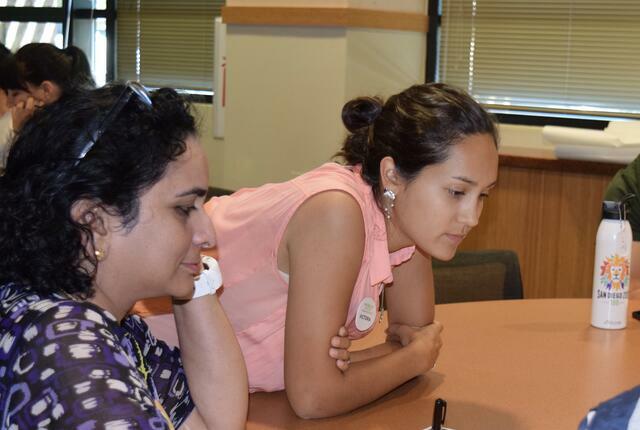 Victoria recently earned her Master’s degree through the Advanced Inquiry Program.